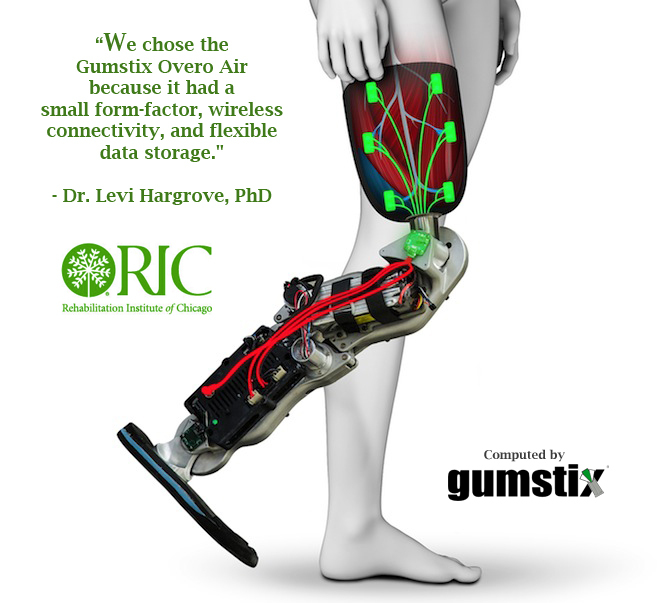 Controlled Bionic Leg Becomes a Reality with Gumstix COMs | Gumstix, Inc. | Gumstix, Inc. The Rehabilitation Institute of Chicago (RIC) has developed the first neural-controlled bionic leg, using no nerve redirection surgery or implanted sensors. 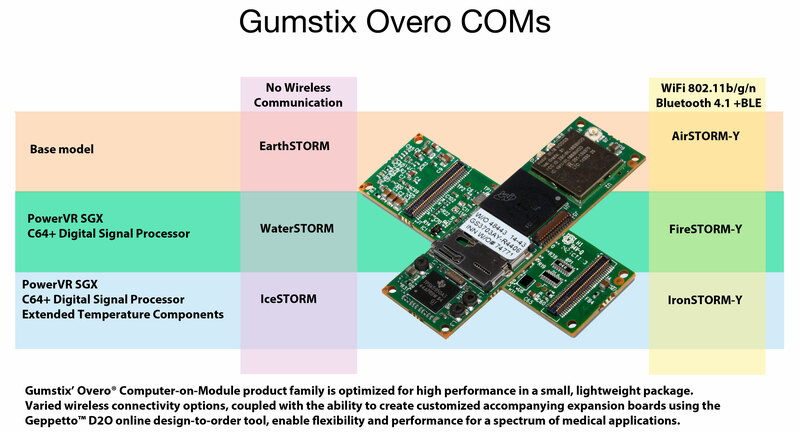 The Gumstix Overo Computer-on-Module technology powers this medical breakthrough by providing the computing power that helps drive the leg’s motorized knee and ankle, with control enabled by the patient’s own neural signals. Helmed by Dr. Levi Hargrove, director of Neural Engineering for RIC’s Prosthetics and Orthotics Laboratory, and working with scientists at Nashville’s Vanderbilt University, the leg has been years in the making. Even though the technology to produce though-controlled mechanized arms has existed for some time, the complexities of leg motion prevented successful application in leg prosthetics. COMs have helped break free of this limitation – their high performance in a small, lightweight computing platform transforms the leg from a passive solution to one that replicates natural leg motion with knee and ankle control. Sensors in the leg come in direct contact with the skin and work in conjunction with complex algorithms to command movement in response to muscle signals from the brain; on-board motors help push the patient up ramps and stairs – actually walking upstairs instead of being dragged by the patient. The motors powering the bionic leg are based on Gumstix’ Overo computer-on-module (COM) product family, featuring flexible wireless communications in a very small package. For example, the Overo AirSTORM-Y COM, based on the 800 MHz Texas Instruments AM3703 Sitara applications processor, includes an access point mode, 802.11b/g/n Wi-Fi and Bluetooth 4.1 with BLE using TI’s WiLink 8 wireless module. The bionic leg is reducing physical strain and improving the quality of life for amputees without requiring surgery – it’s the kind of high-impact project Gumstix strives to support. Read more about the pioneering medical technology and small form factor computing behind the bionic leg in this month’s issue of Medical Design Technology.